and advancement of the field." Yan Xu (3rd Year): "Dear student, if you are tired of living in the noisy city, Acadia University will offer an outstanding academic environment." Dr. Danny Silver, School of Computer Science "Acadia University offers an outstanding undergraduate education in a very special part of world. 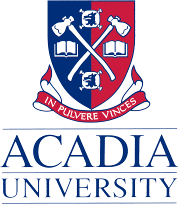 Please visit our website and start to discover why our motto is - Come as student and leave as a colleague"
Han Xu (2nd year): "Acadia University is located in the town of Wolfville, Nova Scotia, approximately 100 kilometers northwest of Halifax. It is very beautiful and quiet university. The environment and atmosphere here is very suitable for study. The computer science program is well respected in Canada. I am one of the computer science students. Wolfville is a small town, but there are several Chinese restaurants, supermarkets and shopping centers around it. 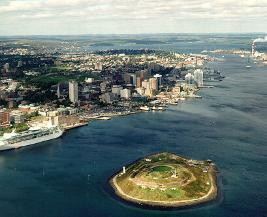 It is very comfortable to live here."